Gladstone is proud of the plethora of available activities for outdoor enthusiasts with parks, walking-friendly neighborhoods, bike trails, ball fields, nature observatories, community gardens, and boarders both the Willamette and Clackamas rivers, with a boat ramp for water enthusiasts. Easter egg hunts, ice cream socials, hot dog feeds, movie in the park, and the Community Festival are just a few of the annual events that even our youngest residents look forward to. Gladstone is a city located in Clackamas County, Oregon, United States. The population was 11,491 at the 2010 census. Gladstone is an approximately 4-square-mile (10 km2) suburban community, 12 miles (19 km) south of Portland, the largest city in Oregon, and located at the confluence of the Clackamas and Willamette rivers. Gladstone has held several important cultural and social events, hosting both the inaugural Clackamas County Fair and the Oregon State Fair, before both were moved to more spacious locations. Both Secretary of State William Jennings Bryan and presidential candidate Theodore Roosevelt have given public speeches in the city. Prior to European settlement, there were several Native American groups living in the area that was to become Gladstone. In 1804, President Thomas Jefferson commissioned the Lewis and Clark expedition to explore the Louisiana Territory and beyond. Although the expedition passed only near the Gladstone – Oregon City locality on their way to and from the Pacific Ocean, via the Columbia River, natives such as the Kalapuya and the Clackamas people told them about the area. In the subsequent years, successive waves of explorers and traders would introduce epidemics of cholera and smallpox, which would take a heavy toll on the native peoples and contributed to a substantial reduction in population. 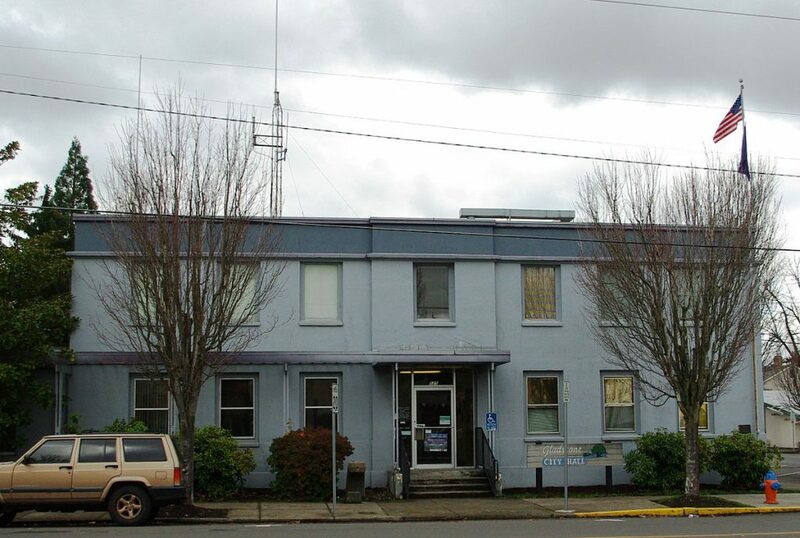 As Oregon City was founded and European settlers began moving to the area, they petitioned their governments to remove the local natives from the land, so that the settlers could use it for farming and housing. The government allocated a reservation for the natives and re-appropriated Gladstone for redevelopment. The earliest homesteads in the area were recipients of the Donation Land Claim Act. The Cason and the Rinearson families were the first settlers to receive their donation land claims in Gladstone. Peter M. Rinearson and his family owned the land between Jennings Lodge and the Clackamas River, and between the Willamette River and Portland Avenue. Fendal Cason, who came to Oregon in 1843 and would go on to serve on in the Oregon Territorial Legislature, owned an area of equal in size east of Portland Avenue. One such community was Linn City (originally named Robin’s Nest). Settled in 1843 by Robert Moore, Robert himself built four flour and lumber mills along the banks of the Willamette. Warehouses, homes, and mills were steadily added until 1861, when a fire destroyed several of the buildings. Efforts at rebuilding the small town entirely ceased when the Great Flood of 1862 struck, wiping out the remaining buildings. In 1896, William Jennings Bryan drew a crowd of 6,000 to Gladstone’s then 78-acre Chautauqua park to hear him give his popular lecture, “The Prince of Peace”, which stressed that Christian theology, through both individual and group morality, was a solid foundation for peace and equality. Some polling data suggests that Gladstone citizens are satisfied with city services they receive and a large majority consider Gladstone a particularly “good/excellent” place to live. Perhaps reflecting this support, the police, fire, and medical services levy renewal measures were overwhelmingly approved by voters in November 2012. Gladstone is served by the Gladstone School District, which includes John Wetten Elementary School, Kraxberger Middle School, and Gladstone High School. In 2006, a bond was passed to allow approximately $40 million worth of construction on the three schools. The majority (approx. 26 million) of the money was applied towards a remodel of the high school. The district later refinanced the bond, saving taxpayers over 5 percent on its total ($805,040), with savings to begin in the 2024 tax year. 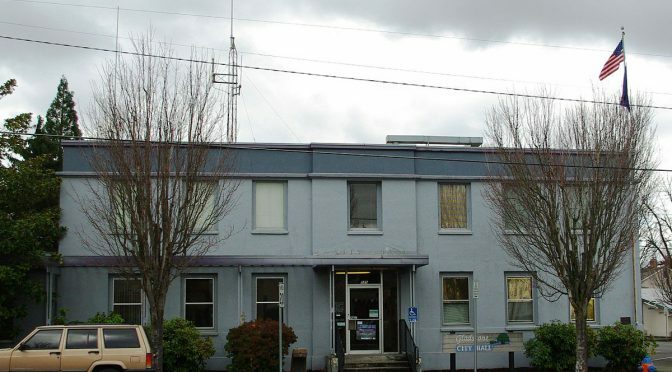 The city operates a library that is part of the Library Information Network of Clackamas County. In 2012, the city council approved plans for a new $10 million library, but ballot measures backed by the group Save Gladstone blocked the financing and construction pending specific voter approval. The city then placed a new measure on the November 2014 ballot for a $6.4 million option. Gladstone is within the TriMet transportation district, and transit service in the city is provided by TriMet bus routes 32-Oatfield, 33-McLoughlin/King Road, 34-Linwood/River Road, and 79-Clackamas/Oregon City, as well as rush-hour express route 99-Macadam/McLoughlin.